With a number of tight races getting down to the wire, there remained nearly 3,000 votes to count in Maui County, as of shortly before 11 p.m., according to Deputy County Clerk Josiah Nishita. The breakdown of those votes was: approximately 2,500 paper ballots from the Haiku Community Center; 300 late mail dropoffs; and 170 duplicated ballots, Nishita said. The Maui County Clerk’s Office contacted candidates to inform them that there still were uncounted ballots, he said. “We didn’t want anybody to think it’s done or called,” he said. A duplicated ballot is one in which a voter didn’t properly fill out a box on the ballot, and a duplication team watched by an group of observers then examines the ballot to see if it can be reasonably determined how a voter meant to cast his or her ballot, he said. The voter’s intent could be determined on 170 ballots. The uncounted ballots could affect a number of races, including the South Maui County Council race, in which challenger Kelly Takaya King held a 136-vote lead over incumbent Council Member Don Couch. The contest began with King ahead by approximately 600 votes, but Couch nearly closed the gap as the night wore on. 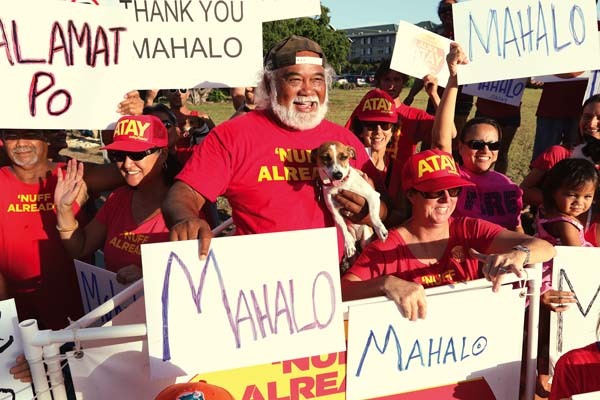 In the Wailuku council race, former Council Member Dain Kane held a 159-vote lead over Alika Atay. In the first printout, Kane had a 1,781-vote lead. They are seeking the Wailuku-Waihee-Waikapu seat being vacated by Council Member Mike Victorino because of term limits. In the Upcountry council contest, Yuki Lei Sugimura held a 1,650-vote lead in the third printout. They are vying for the seat being left by Council Member Gladys Baisa because of term limits. Council incumbents held comfortable leads in other races, according to the third printout. East Maui Council Member Bob Carroll led challenger Shane Sinenci with 23,653 votes, or 48.7 percent, to Sinenci’s 17,118 votes, or 35.2 percent. West Maui Council Member Elle Cochran was out ahead of Ernest Z. Kanamu Balinbin with 29,115 votes, or 59.9 percent, to Balinbin’s 11,832 votes, or 24.4 percent. Kahului Council Member Don Guzman led with 28,149 votes, or 58 percent, compared with Vanessa Medeiros’ 12,821 votes, or 26.4 percent. In the Makawao-Haiku-Paia council race, council Chairman Mike White took 24,090 votes, or 49.6 percent, while challenger Trinette K.U. Furtado had 18,215 votes, or 37.5 percent. In the Lanai council race, incumbent Council Member Riki Hokama held a lead over challenger Gabe Johnson. Hokama had 21,811 votes, or 44.9 percent, while Johnson had 17,143 votes, or 35.3 percent. Molokai Council Member Stacy Helm Crivello garnered 21,269 votes, or 43.8 percent, compared with challenger Keani Rawlins-Fernandez’s 16,660 votes, or 34.3 percent.